We work very hard at Kingswood Air Conditioning to make sure that we provide an unbeatable service for all of our clients, and to be recognised again by the leaders within our own industry makes us extremely proud of everyone at Kingswood who shares our vision and ambition of being the leading Air Conditioning and Refrigeration Contractor within Hertfordshire and the South East.. The results of the Cooling Industry Awards 2016 were revealed on 28th September at the prestigious London Hilton, Park Lane, where the key players in the industry came together for a night of recognition and celebration of the sector’s achievements. 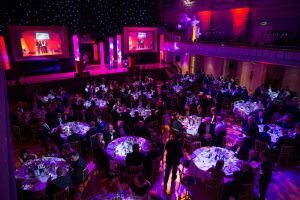 With 20 targeted categories as well as the RAC Gold Award, the awards cover every aspect of the refrigeration and cooling industry from Heat Pump Technology of the Year to Retail Initiative of the Year and National Student of the Year. 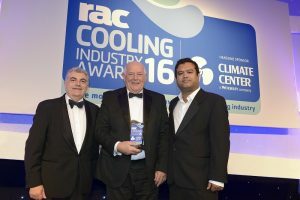 Now in its 12th year, the industry’s biggest and most-respected Awards event, the RAC Cooling Industry Awards champions the leading innovations and environmental successes in the refrigeration and air conditioning industry. Kingswood Air Conditioning was declared the winner of the Air Conditioning Contractor or Installer Of The Year Award, the first time that this award has been given. Making the shortlist for a RAC Cooling Industry Awards, let alone winning, is an achievement to be proud of and we are extremely proud to have been recognised by our industry for the high level of service and commitment that we give to all of our clients. We would like to say a big thank you to all of the Kingswood team, and to our clients for their support. We would also like to thank the expert panel of judges who put in so much time and effort deciding on the eventual winners for all categories and helped ensure a rigorous judging process. We are very pleased to finally release our new website which we hope will prove popular, and useful, to all of our clients. There is a lot of information on the site now, and we will continue to add to this week by week, month by month and year by year. A very big thank you to all of our clients that very kindly took the time to give us a testimonial or who allowed us to use their site in our portfolio. We welcome your feedback and look forward to hearing what you think of the new website. The leading event for the Air Conditioning and Refrigeration industry, the ACR News Awards 2016 will take place on Wednesday 17 February at the prestigious Vox Conference Centre, located within the brand new Resorts World Birmingham next to the NEC. 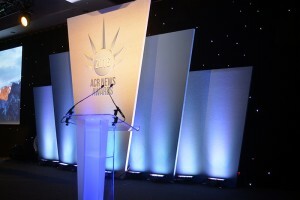 This year’s event will be hosted by Jon Culshaw, Britain’s best impressionist with a repertoire of over 350 voices covering politics, sport and celebrity from Boris Johnson to Alan Carr, Brian Cox to Barack Obama, Russell Crowe to Michael McIntryre. 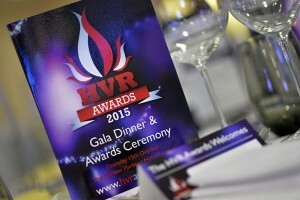 We are excited to have been shortlisted and look forward to the awards evening. We will let you know if we are successful.